Three February titles are attracting my attention: the illustrated novel Grim Death and Bill the Electrocuted Criminal by Mike Mignola and Tom Sniegoski, the anthology Here We Are: Feminism for the Real World by Kelly Jensen, and the novel We Are Okay by Nina LaCour. Mignola, famous for creating Hellboy, among other things, teams up with my pal Tom Sniegoski for an illustrated pulp novel about two unusual heroes fighting evil and seeking justice. If you like Mignola's collaborative works with Christopher Golden, like Baltimore and Joe Golem and the Drowning City, check out Grim Death and Bill. Here We Are: Feminism for the Real World by Kelly Jensen features pieces from 44 different contributors, including illustrators, musicians, novelists, dancers, and leaders. I feel like Leslie Knope from Parks & Rec would appreciate this book. Sending a virtual high-five to Kelly for assembling these essays and illustrations. 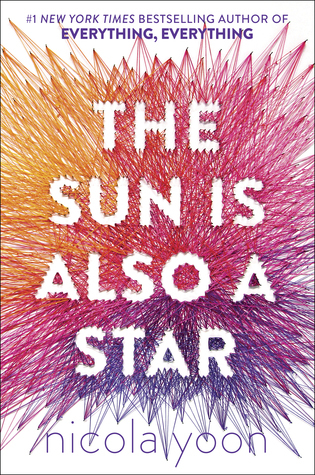 If you haven't read a Nina LaCour novel, you are missing out, and you need to rectify that immediately. Go get Hold Still and her other works, read 'em and weep, then prepare for her next book, We Are Okay. 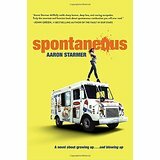 The protagonist is halfway through her first year of college, so this book is ready for readers in that end-of-teens/early-20s spot who are searching for a story that reflects their current experience. Ararat by Christopher Golden comes out in April. It's adventure time: A newly-engaged couple climbs Mount Ararat in Turkey, gets hit by an avalanche, and discovers a cave that some believe is Noah's Ark. 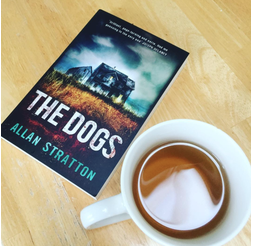 When they uncover what's really trapped inside the vessel - and when they, too, are trapped by the blizzard - things get even stranger, and deadlier. I'll read anything Christopher Golden writes, and as I am not one for climbing mountains or going outside during a blizzard, I look forward to reading this page-turner while bundled under a multitude of blankets and drinking cocoa and shouting things like, "Go back! Go back!" to the characters, even though I know they can't hear me. 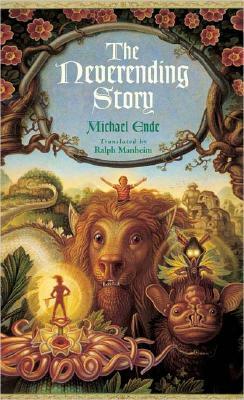 Golden's books are like movies pressed between two covers. Sarah Dessen's thirteenth novel Once and for All will be available in June. The main character, Louna, is the daughter of a wedding planner. Typically told in first-person and led by a female protagonist trying to make her way through this world, Dessen's novels appeal to those who like realistic contemporary fiction with elements of romance, family, and community. These are just seven of the books I'm looking forward to checking out when they are released in 2017. There are plenty more where that came from, and I have a running list of them at my blog, Bildungsroman. What 2017 releases are you aching to read? Leave a comment below and let me know! Happy holidays, everyone! Cameron and his mum are on the run. Cameron's dad is a maniac, an abuser and all around psycho. That is, at least, what Cameron's been told since he was young. After five years of jumping around, they settle on an old farmhouse in a place called Wolf Hollow. Right away Cameron senses something's not right. He feels he's being watched from the cornfield, from the old disused barn, from the road, everywhere. He tells himself it's just his imagination, but with his mum filling his head with horror stories about his dad, he can't really be sure. Then there's the boys at school, and the stories about the farmhouse that he's just moved into. The former owner went nuts, murdered his family and was eventually torn to pieces by his own guard dogs. Cameron can't figure out if this is true or just small town gossip. How was the maze built? Is WICKED good? These are just some of the questions that fans of this series have been asking themselves for the past few years. 1. The entire SCIENTISTS IN THE FIELD series. These books work for a wide age range and are notable not only for their stellar content but outstanding design as well. The author/photographer combo embed with a variety of scientists working in areas from sharks to frogs to volcanoes and space travel. The chapters are concise, the photos clear and intense and the focus is always on the fascinating work being done by scientists (male, female, all races, American & international) in the field. 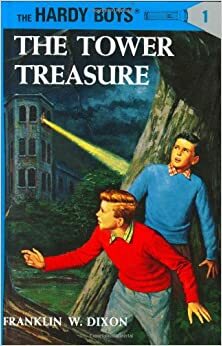 A personal favorite for me is Tracking Trash which was a page turner for everyone who saw it on our coffee table a few Christmases ago. (And got us all talking about the garbage in the oceans.) Check these titles out - I can't recommend them enough. 2. The books of Mary Roach. From Grunt, (on the science of war), to Packing for Mars and Stiff: The Curious Lives of Human Cadavers (+ more), Roach has carved out a fascinating niche as an author who immerses herself in a subject and then presents it in a highly engaging and readable fashion. Check all of her work out & read this recent interview with Wired on Grunt. 3. Next of Kin by Roger Fouts & Stephen Mills on years of researching chimpanzees (and development of sign language communication with them) which led to Fouts's turn against biomedical research using chimpanzees. With a forward by Jane Goodall, this will appeal strongly to animal lovers. (And younger teens should also check out Jim Ottaviani's graphic novel Primates for short bios of Goodall, Dian Fossey and Biruté Galdikas.) Jane Goodall has written a slew of books, all worth checking out - 50 Years at Gombe is especially impressive. 4. Multiple Exposures by Catherine Caufield and The Age of Radiance by Craig Nelson both take a long look at the history of the Atomic Age and the "use, misuse and control of the power of radiation from the discovery of x-rays and radium to the present day." Also check out Radioactive: Marie & Pierre Curie: A Tale of Love and Fallout by Lauren Redniss which combines a biography of their tragic research into radioactivity along with Redness's unique artistic presentation. Jonathan Fetter-Vorm has an outstanding graphic novel history of the Manhattan Project with Trinity and Jim Ottaviani's Feynman is everything you would ever want to know about what of the greatest physicists of all time. (Also see Richard Rhodes's definitive history, The Making of the Atomic Bomb.) Finally, Shelly Emling (who wrote the wonderful Fossil Hunter about Mary Anning) has a biography of the Curie family: Marie Curie and Her Daughters which covers the decades-long period after her husband's death and Curie's constant battles against sexism as she continued to work. 5. 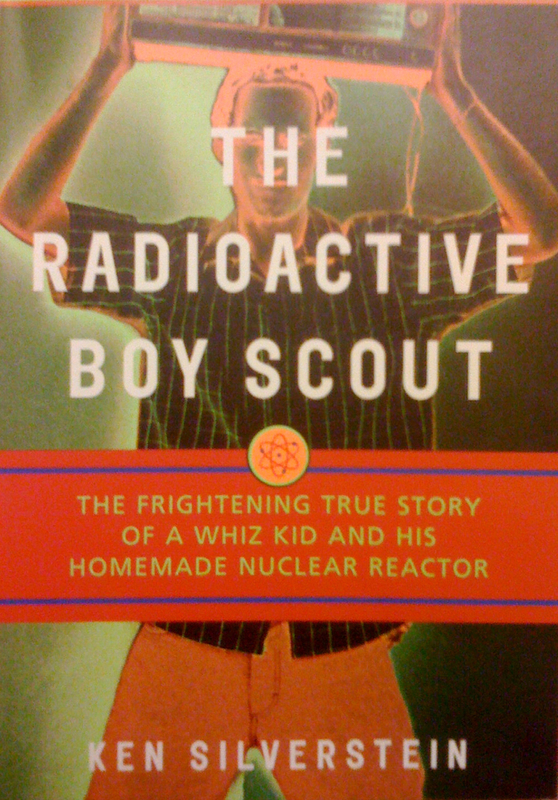 The Radioactive Boy Scout by Ken Silverstein. 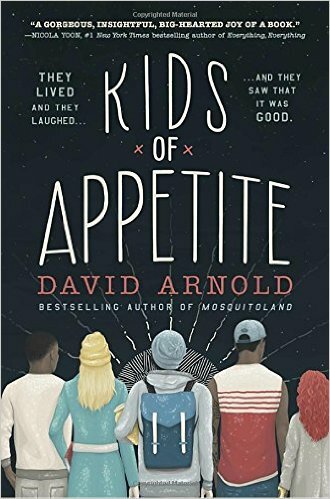 Tons of accolades for this one &amp, as it chronicles of the story of a teen, it has been appeal for readers in his age group. From Booklist: "Silverstein recounts how Hahn, while a high-school student in the early 1990s, tried to assemble a breeder nuclear reactor in a garden shed. Seeking the origins of such audacity, the author extensively interviewed Hahn and worked backward from the day in 1995 when EPA personnel clad in ventilated moon suits took away Hahn's radioactive material. To Silverstein, Hahn was two things at once: a kid out of time who imbibed 1960-style nuclear optimism from a chemistry book published that year and a kid of the times, the product of divorce. Neither parents nor stepparents, consumed by work and personal problems, supervised young David, who, utterly heedless of danger, re-created the experiments of Marie and Pierre Curie with a monomania that fed his fantasy of going nuclear. Aghast at Hahn's recklessness but amazed by his mad-scientist resourcefulness, Silverstein regales readers with an irresistible tale." 6. The Immortal Life of Henrietta Lacks by Rebecca Skloot. 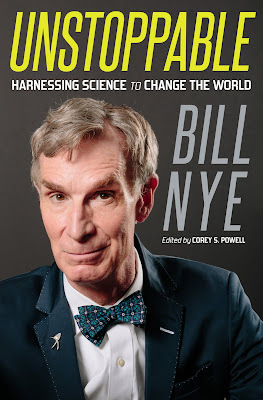 It should be on high school reading lists everywhere, not only for the science issues it tackles but the moral issues that demand classroom discussion. Skloot has written a masterpiece, plain & simple. Read about what she is doing for Lacks's descendants in this NY Times article. And then just buy it. Really. Just buy the book. 7. Hidden Figures by Margot Lee Shetterly. I reviewed this one for Booklist and I'm so glad it has been made into a movie. It's a classic example of forgotten/hidden history and along with Margaret Hamilton receiving the Presidential Medal of Freedom last month, an excellent stab at shining light on the historic record. From my review for Booklist: "....many of the women, particularly African American women, were employed not as secretaries but as “computers”: individuals capable of making accurate mathematical calculations at staggering speed who ultimately contributed to the agency’s aerodynamic and space projects on an impressive scale. Shetterly does an outstanding job of weaving the nearly unbelievable stories of these women into the saga of NASA’s history (as well as its WWII-era precursor) while simultaneously keeping an eye on the battle for civil rights that swirled around them. 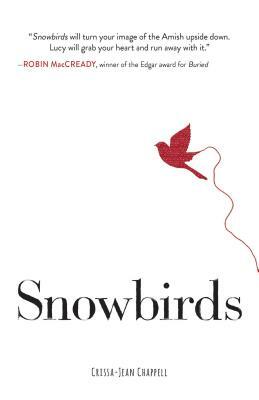 This is an incredibly powerful and complex story, and Shetterly has it down cold. The breadth of her well-documented research is immense, and her narrative compels on every level." 8. Elements by Theodore Gray is both visually stunning and very well written (even funny). Gray has a ton of fans and for good reason. He actually collects the elements which seems...impossible, but is true and is a great way in which to make the whole Periodic Table a real thing and not some abstract poster that hangs on a classroom wall (which is how most of us see it). Gray has also written Molecules and fans can get a puzzle of his version of the Periodic Table and a photographic card deck which allows users to create their own table. I'll be adding more to the post in the coming days. (I haven't even gotten to the Darwin books yet!) And please feel free to make your science recs in the comments. Thanks! An amazing Cyber Week of gift-giving for Ballou Sr High School Library! But you guys - YOU GUYS! - we blew past our modest goal and saw more like 150 books go to DC during Cyber Week and it is so awesome! So many generous people bought so many wonderful books for Ballou. Tons of graphic novels were sent, along with some excellent novels, some biographies, a cookbook, THREE DC Encyclopedias, (Yep, there was a contingent really waiting on those as you can see) and so much more. I could go on and on about how much the kids wanted these books and how excited they are to receive them. Some folks even paid for gift wrapping the books which was just so kind; so incredibly kind. The students at Ballou will be out of school soon for winter break but now they head off to the holidays with, between the two book fair events, nearly 300 new books on the shelves of their library. 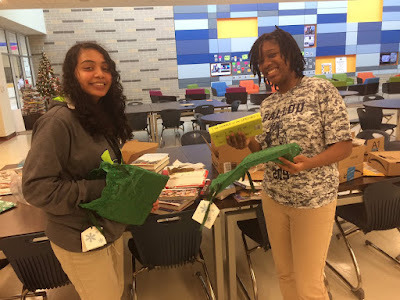 We will certainly be working with Ballou's librarian, Melissa Jackson, in the new year to send more books to the school and hope you will help us again. A lot of things are happening in America right now and more than ever supporting our public schools is the job for everyone. Thank you for what you did for Ballou at the closing of the year. This is my metric for success as a reading teacher: When a student checks out a book from our classroom library, reads it in one night, returns the next day to ask if the next book in the series has been published, and seems legitimately crushed when he finds out the answer is no. 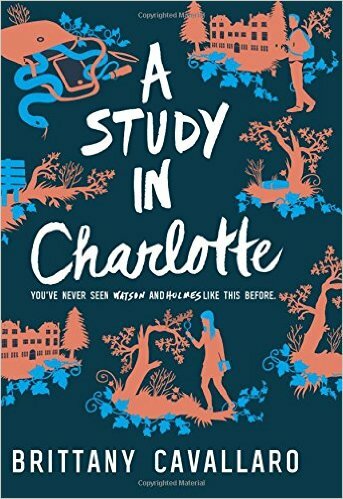 Such was the case with Brittany Cavallaro’s A Study in Charlotte, Book One in the Charlotte Holmes series. to find out what it really means." That pretty much describes how school taught me to hate poetry. But it turns out, I don't have to find out what it really means! And I can enjoy a poem best if I hear it read aloud. Best of all is if I hear the poet read it. The Spoken Word Revolution Redux lets me do that with the included CD. It includes slam, hip-hop poetica, dub poetry, musical interpretations, European performance poetry, and some youth poetry too. There are readings by Billy Collins, Ted Kooser,and Mark Strand, who have all been U.S. Poets Laureate. There are some eye-opening, ear-pleasing, sweet readings to listen to. I haven't actually read the book yet - it's mostly the text of the poems, along with some commentary introducing the writer. 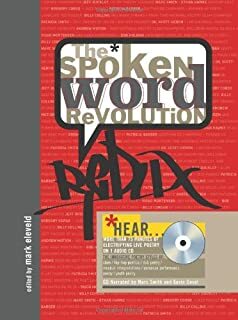 What I have done is gotten the first volume, called The Spoken Word Revolution (slam, hip hop & the poetry of a new generation), and started listening to it. It's awesome too! Daniel and Natasha meet and Daniel immediately falls for her. He knows in his bones that he is destined to be with her. He just KNOWS! Classic boy falls for girl, girl reacts with measured enthusiasm. Daniel knows that if she gives him one day, he can make her fall for him too. What he doesn’t know, is that one day is all she has to give. Natasha and her family are being deported back to Jamaica that very evening. As the two spend the day together, luxuriating in each other's presence, their story becomes more complicated. Each of them is actually supposed to be doing something else instead of having this amazing day together, things that neither really wants to tell the other. When they go to his parent's store on an errand, it becomes clear that his Korean immigrant parents do not want Daniel to be dating a black girl. Likewise, when Daniel meets Natasha's family, sparks fly. Yoon has created realistic, funny, warm, and touching characters. Characters a reader is drawn to read page after page to know more about. This is a book for fans of Rainbow Rowell's Eleanor and Park, for all the hopeless romantics out there. Beth Kephart has written many books for teen readers including One Thing Stolen, Going Over and Small Damages. Her writing is particularly appealing to teenage girls as she has a knack for seeing the world through their eyes and showing a great deal of empathy for her exceedingly complex characters. She accomplishes all of that and more with her latest book, This is the Story of You but I also think she offers something unique to teenage boys with this title as well. 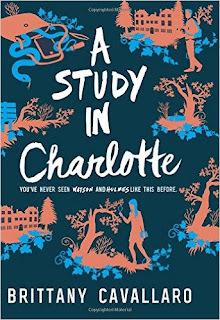 While the novel's protagonist is most assuredly female, what seventeen-year old Mira endures in this [literally] storm-tossed title is the sort of adventure that any coastal dweller must be on the lookout for. She also happens to be keenly observant, whip smart and laboring under an enormous amount of pressure. Basically, all teens facing demons of their own, both domestic and meteorological, are going to find a great deal to love in this story. This is the Story of You takes place on an east coast barrier island, six miles long and a half mile wide. Mira and her friends are the "year-rounders", members of a local community who rely on the tourists for economic survival but long for the off season and the island's quiet beauty. 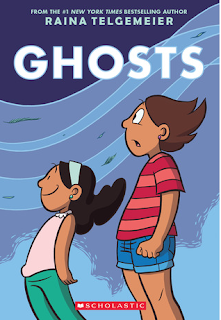 As the book opens Mira and her friends are enjoying the quiet of September, their small, eclectic island school (really great stuff here about a vibrant learning environment) and casting about for info on the new kid. (Yep, it's a guy, yep there's some wondering about his romantic status.) Mira's world is dominated by her close friends, her determined, hard working single mom, her smart, cool younger brother and the chronic and dangerous disease he is battling. This is life in Haven and with Kephart's always impressive writing, it's a lovely place to spend some time. What upends the book and everyone in it is a massive storm that builds and turns in unexpected ways (shades of Hurricane Matthew) and slams into Haven when few people are prepared. Mira's family is caught on the mainland, someone breaks into her house, folks go missing in the deluge, and on and on. Everyone pulls together but there are mysteries to solve in the wake of the storm, people to find, people to mourn, a disaster to recover from. Haven will never be the same and, of course, neither will Mira or her friends. This is the Story of Us is an excellent read and a hard one to forget. You'll fall deeply for Mira and all the denizens of Haven. I certainly did and I'm finding them still with me, even months since I first read this book. 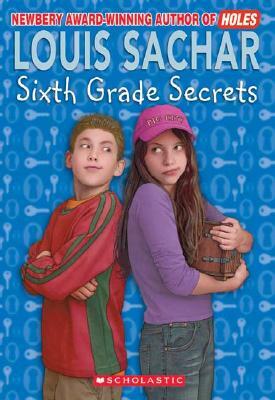 * Note that each of these titles, with the exception of Sixth Grade Secrets, is the start of a series! For additional suggestions, pop over to my book blog Bildungsroman where I have booklists galore for all ages in a number of categories. Many for the aforementioned titles are part of my Suggested Sets booklist. Enjoy! 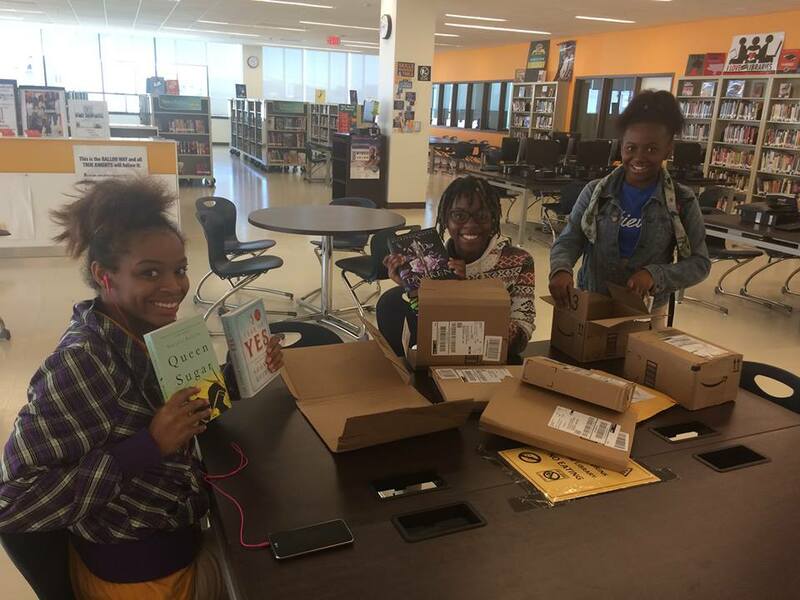 Buy a book for Ballou SR High School on Cyber Monday! The Book Fair for Ballou Senior High School in Washington DC is back open! 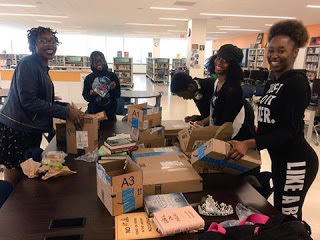 We were delighted to help Ballou librarian Melissa Jackson and her dedicated book club build a wish list on amazon so 175+ books could be bought and sent their way in October. 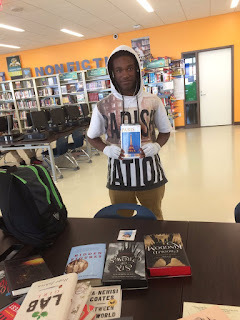 This annual book fair is the primary way in which Ballou HS obtains books the students want and knowing that so many of them are now reading books they have been waiting for (novels! travel guides! history! biography!) has thrilled us to no end. Seriously, we love helping this incredibly dedicated school librarian out every year! The mailing address is already loaded up on the wish list, so all you need to do is shop & the books will be on their way. Follow @BallouLibrary on twitter (or facebook) for more pictures as books arrive! The full link to the Ballou wish list: https://www.amazon.com/gp/registry/wishlist/2CU17Q38C3P68/ref=cm_wl_list_o_1? With all of the new fiction books that have been published it would be easy to choose one of those books to review. I have found however that some books dealing with times gone past have many life lessons to impart. As you may have noticed, it's been a bit quiet around Guys Lit Wire. Several of our long time posters have had to leave the site and those of us on the organizing end have been busy with our own projects and work and have not been diligent about filling those slots. We got lazy and while still doing good things (book reviews, the Book Fair for Ballou High School), we have certainly not been doing what I would call important things. Like most of America, we are kind of freaked out by the current political landscape. No one seems to know what is happening next or what direction the country is taking or what that means for anyone. 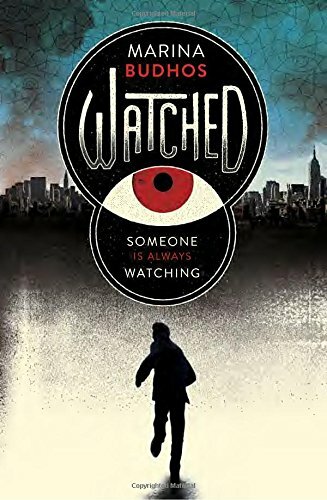 We are especially sensitive to the concerns of our primary readership: librarians, booksellers, parents and teens who are looking for books that will appeal to reluctant teen readers, especially guys. We think it's time to double down on our initial mission and also, now more than ever, embrace in the broadest possible terms the diversity that makes America such a wonderful place to live. Diversity is everything in America. Let me say that again - diversity is everything in America. It's what matters most. It's what we love about our country and it is what we want to encourage, in ever way possible, in the literary world. As the granddaughter & great granddaughter of immigrants, and the child of someone who primarily learned to speak English in school, I feel very strongly about this. We have not been doing our job around here on the diversity front and, I promise you, that changes now. We will still be posting book reviews from a group of varied contributors. We will still be writing about all kinds of books and in some ways, readers will notice hardly any changes at all. We are doubling down however on diversity, in formats (more nonfiction! more poetry! more graphic novels! ), in characters, in subject matter and in authors. In addition to reviewing, we are also going to do our best to share news and interviews with diverse authors who we think will appeal to teen readers. We see this as shining a light on the work of those who might be overlooked in the massive coverage of the latest "big thing". And while we certainly enjoy a best seller as much as the next person (and you might very well see a few here that we can't resist noting), we really hope that we can help make a dent in the many issues the literary world is suffering from when it comes to diversity. More than anything, we will always keep our primary mission of getting the word out on great books but we acknowledge that part of what makes a book great is diversity. The thing that is driving us right now is doing what we can to mitigate the fear that so many American children and teens are feeling. We want to do what we can to make sure they know they are not alone. For so many of us, at one time or another, books were important lifelines. We have not forgotten that and want to make sure today's teens can find the books they need to make it through until things get better. This is an evolving process at Guys Lit Wire - the final rollout of the slightly redesigned site will likely not take place until the end of the year. We are also going to see about partnering up with some other teen focused sites to do some cross-blogging and more. And we will be back on Cyber Monday to reopen the Book Fair for Ballou High School and hopefully get more books to that Washington DC school library! I guess my big message with this post was to thank you for hanging in there with us and let you know to watch this space. There are so many things we all need to be doing these days and we hope you will support us as we do what we can in our little corner of the internet. 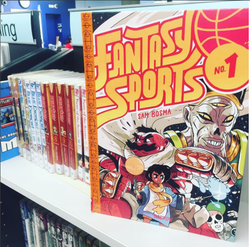 I loved Fantasy Sports, I'd never heard of it before in my life and decided to buy it for the library based solely on the cover. I'm glad I did. It's like Big Trouble in Little China if Kurt Russell had to play a game of basketball to defeat Lo Pan. Wiz and Mug are an unlikely pair. 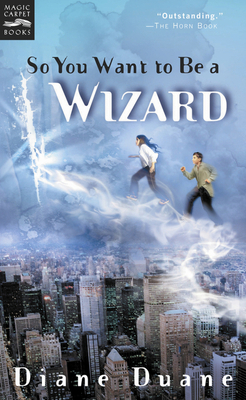 Wiz is a small, snarky, intelligent wizard with a lot to prove. She's working for Mug, a Zangief-esque brute who thinks with his fists before his head. 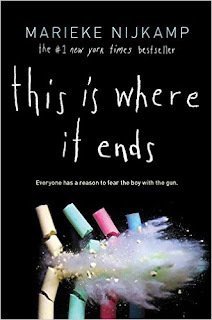 This Is Where It Ends by Marieke Nijkamp is told in short chapters, sharing the story of a school shooting in “real-time,” told from the perspective of four students with various connections to the shooter, filling in some blanks and gaps as we proceed breathlessly to the inevitable conclusion. 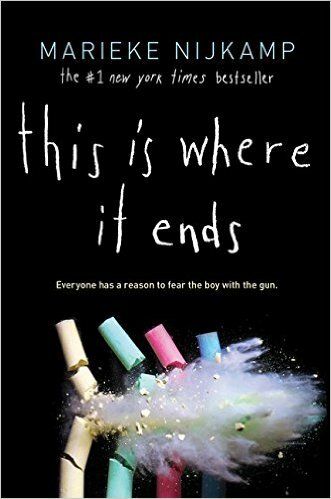 I finished This Is Where It Ends the day before our faculty spent a morning undergoing active shooter response training, training that served as a morbid fact check for Nijkamp’s novel. We were told that nearly all school shootings involve a single shooter (Columbine being a notable exception). We were told that in nearly all school shootings the shooter is a young male. We were told that nearly all school shootings end only when the shooter is killed or kills himself. We were shown ways to distract, attack, disable, and disarm a shooter. We were told that locking classroom doors and hiding, as we have been trained to do in the past, is often not the best way to deal with an active shooter scenario. We were not told how we would react if this scenario became a reality. We were not told this because none of us know. None of us know whether the fear will paralyze us, whether self-preservation will make cowards of us, whether self-preservation is even cowardice, or whether some potent cocktail of adrenaline and morality will lead us to heroic actions. We were not told whether these heroic actions will be where it ends for us or for the shooter or both. Nijkamp tells us where it ends for Tyler, the lone gunman. She tells us where it ends for his sister. She tells us where it ends for his sister’s girlfriend. She tells us where it ends for teachers and students alike. She tells us in staccato bursts, like gunfire, ricocheting between narrators, disorienting us at times. She shows us sacrifice and heroism and fear and terror and panic and cruelty. Some readers may want more about where it began, more about how Tyler broke bad, more about character relationships. But Nijkamp’s novel is not primarily about those things (if you want those things, I recommend We Need To Talk About Kevin by Lionel Shriver). 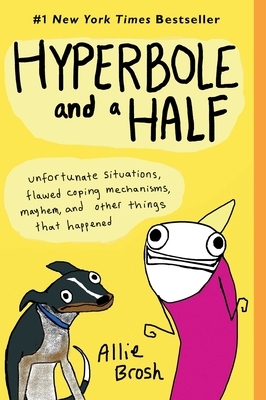 This is a novel about how much your life can change in an hour. This a novel about the short sharp shock of where it ends. What was your favorite scary book as a kid? How about you, gentle reader? 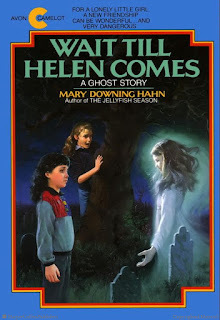 What was your favorite scary book as a kid? Leave a comment below and let me know! Matt Cruse feels most comfortable when aboard an airship. He loves being in the air aboard the Aurora as a cabin boy. On watch one night, Matt discovers a damaged balloon with an elderly man in it. As they attempt to rescue the man, he mutters incoherently about a fierce and massive cat-like creature that flies through the air and then dies of his wounds. As the Aurora embarks on a flight to Sydney Australia, a small air vessel docks with the Aurora and disembarks Kate de Vries and her chaperone. We find out that Kate is the granddaughter of the man who died as the Aurora rescued him. She is set on proving to the world that her grandfather was not crazy and the creatures he was muttering about actually do exist. In due course, the pirates arrive, a massive storm hits, the Aurora crash lands on a deserted island, Kate and Matt are kidnapped and a romance buds. 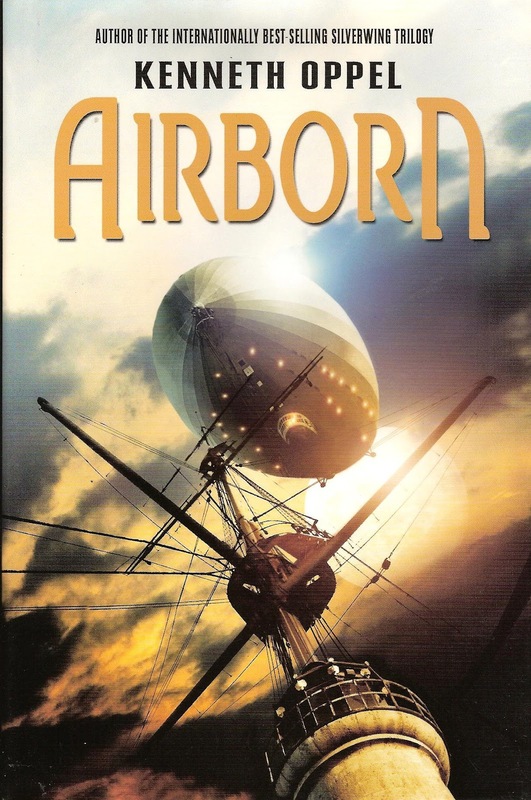 A terrific swashbuckling steampunk adventure. Lots of gizmos and gadgets are discussed and used, the Victorian era holds strong, and readers are bound to fall for our two heroes. 100 Books Heading to Ballou Library - LET'S KEEP GOING!!!! The first boxes of books from the amazon wish list have arrived at Ballou SR High School in Washington DC and as you can see, the students are delighted! Thanks so much to the many people who have bought books and helped spread the word on the Book Fair for Ballou. Your assistance and support are very much appreciated by all of us at guyslitwire & Ballou Library. WE ARE NOT DONE YET!!!!! The wish list remains active and the Book Fair is still going on. 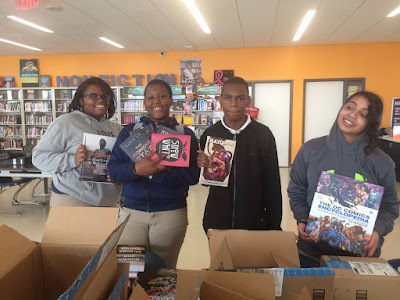 As you know from our original post, the book fair is the primary way in which the Ballou students receive books they dearly want. There are still many many novels on the list, as well as cookbooks, manga, graphic novels, some DC character encyclopedias AND SO MUCH MORE! 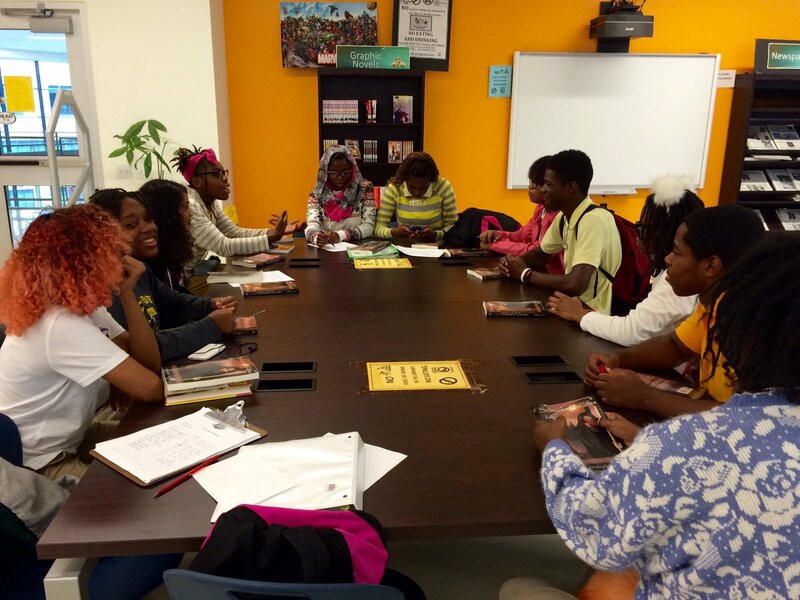 We are committed to getting another 100 books to Ballou and hope that you will help us. We can't do it alone - we need you to help us spread the word so we can get as many books as possible bought off the list. There are Spanish language books on the list (Like "One Fish/Two Fish/Red Fish/Blue Fish"!) that will be used in classes, there are biographies and histories, poetry and science and SO MANY NOVELS. There is science fiction, fantasy, mystery, and a ton of teen dramarama. There are books to learn from and there are books to have fun with. There is, in the 350+ books remaining, literally something for everyone. Honestly, there is so much to make us all angry in the world today - in America today - that something like helping Ballou becomes even more important. It's a small thing but it will have a big impact AND IT IS ALL POSITIVE. This is a good thing we can do to make life better for a bunch of students and a truly awesome librarian. There is no downside to this effort - it's all wonderful, and it's all up to us. 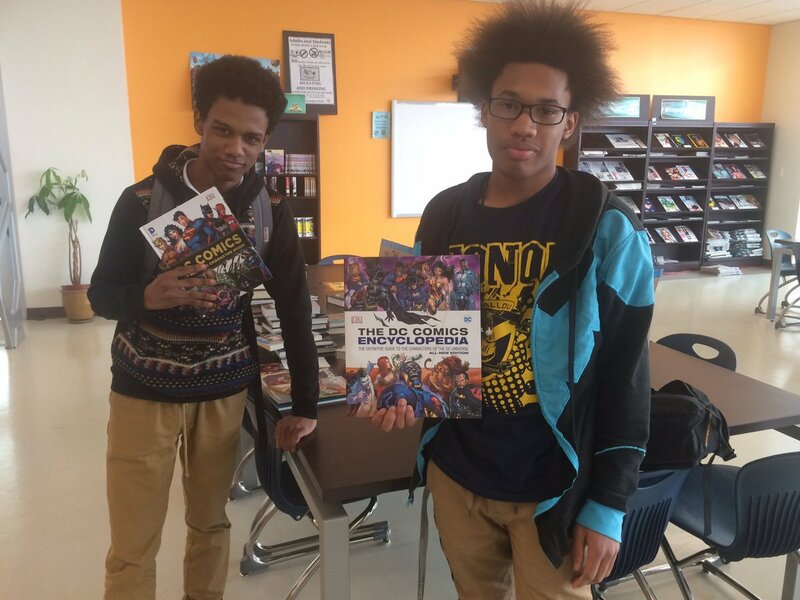 Help us get more books into the hands of the students at Ballou SR High school; help us make more book dreams come true. Catrina and her family are moving from the hot, desert-like conditions of Southern California to a location further north. 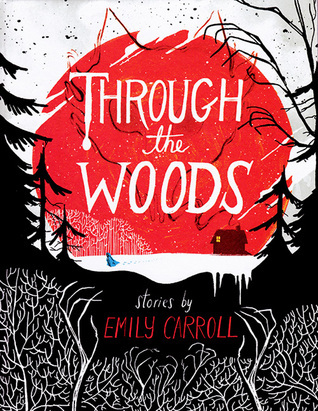 Catrina's sister, Maya, is ill and the northern climate is thought to be better for her. Catrina doesn't want to go, she misses her friends, she misses her old place. She tries her best not to complain, but she's a teen and that's what teens do. One their first night, Catrina and Maya decide to explore the town a little. They find a seemingly abandoned arcade. It's dark, creepy, and a awesome at the same time. It's here that they discover one of their neighbours, and he drops a bombshell on them. The town they just moved to is haunted. Pigs do not make good pets. Better said, pigs do not make good pets when you are a rural farm boy and times are hard. With a title like this one, you almost know what's coming and that is what makes this book so engrossing. 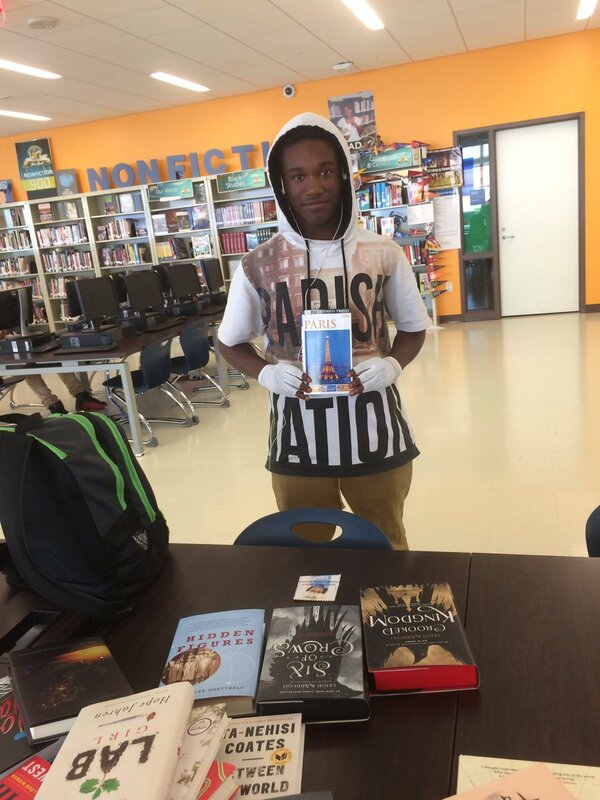 HERE WE GO - THE 2016 BOOK FAIR FOR BALLOU HIGH SCHOOL IS ON!!!!!!!!! As our regular readers know, Guys Lit Wire annually teams up with Ballou Senior High School librarian Melissa Jackson to host a book fair for this Washington DC high school. This is our 7th year doing a book fair and 5th with Ballou High. Why do we continue to work with this school in particular? 1. Because it has an incredibly dedicated & determined librarian who works hard everyday for her students and we want to do what we can to make her job a little easier. 2. Because the library's budget is extremely limited in the funds that can be used for titles chosen outside of the district lists and our list is built entirely under Melissa's direction and approval addressing the specific wants and needs of her students. 3. Because the students and teachers contribute titles to the wish list, meaning that it is full of books that appeal to a wide range of interests and reading abilities. There is literally something for everyone from romance, mystery and fantasy to guidebooks, Spanish language basics (for the classroom), manga, graphic novels and SO MUCH MORE. 4. Can I talk some more about the books on the list? We've got great big literary titles, intense biographies, history, science and heck......even Archie comics! 5. But mostly, we team up with Melissa and Ballou High School because this is what we all should do. 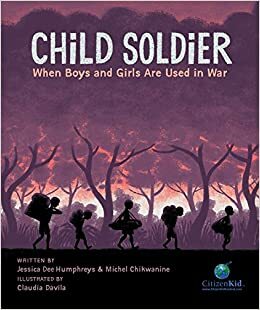 We all should do our part to help the kids of this country get as broad an access to as many wonderful books as possible. We should do what we can to make sure that every student can check out the books they want; the books they have been yearning to read that will make them laugh and cry and think deeply. It is no surprise that we love books around here and helping to make a school library stronger is pretty much a dream for all of us, and one we hope you will be on board with as well. The mailing address is already set-up for checkout and there are nearly 500 books to choose from with a wide price range. We do hope you will find a book that you want to send to Ballou and help us make life a little better for a great bunch of a kids. The Book Fair for Ballou High School Library will stay open for 2 weeks and we will keep you posted here on how things go. Be sure to follow @chasingray (GLW moderator Colleen Mondor's twitter feed) and watch the Ballou Library feed for shoutouts from Melissa (@BallouLibrary) as books show up. The Ballou Book Club working on the list two weeks ago. I have to confess that I found parts of this biography to be a bit bewildering. At first, despite the book being titled TETRIS, I assumed it would be the biography of the guy who created it. And the book starts out with him - a guy named Alexey Pajitnov, and his friend Vladimir Pokhilko. Alexey conceived of the game as part of his thinking about the importance of games, not just as diversions but as tools that help the brain solve problems and hone skills. No sooner does the book go there, than it jumps back by thousands of years to the idea of the beginning of games following through the history of games to the development of the Nintendo Corporation. So I wondered whether this book was more about Nintendo. 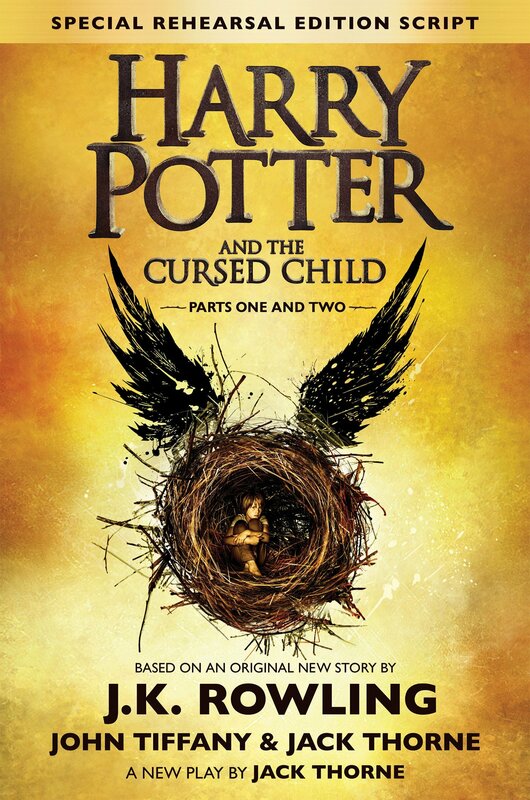 2) She had read the entire book in one evening because it was unputdownable.